Kaiser Permanente reported a 47% drop in operating income during the second quarter of 2018 and a nearly 1% lower operating margin as the health system shoulders rising expenses. The not-for-profit Oakland, Calif.-based system's operating income totaled $345 million in the second quarter, compared with $656 million during the prior-year period, a number that has been revised down by $116 million under a new accounting standard. Its operating margin is 3.5% year-to-date, compared with 4.4% during the same period in 2017. Kaiser's operating margin was 5.2% in the first quarter of 2018. Tom Meier, Kaiser's senior vice president and corporate treasurer, said the health system expects its margin to shrink as the year goes on. That's because its health plan rate increases took effect Jan. 1, but expenses tend to rise from there. "We're pleased with the results," he said. "We consider them to be stable." Meanwhile Kaiser, which includes Kaiser Foundation Health Plan, Kaiser Foundation Hospitals and their subsidiaries, saw an 8% increase in operating revenue to $19.6 billion during the quarter, compared with $18.1 billion during the same period in 2017. Half of that revenue increase was due to a 4% increase in health plan premiums effective Jan. 1, Meier said. Another half was due to the plan's 453,000 new members as of the start of the year. 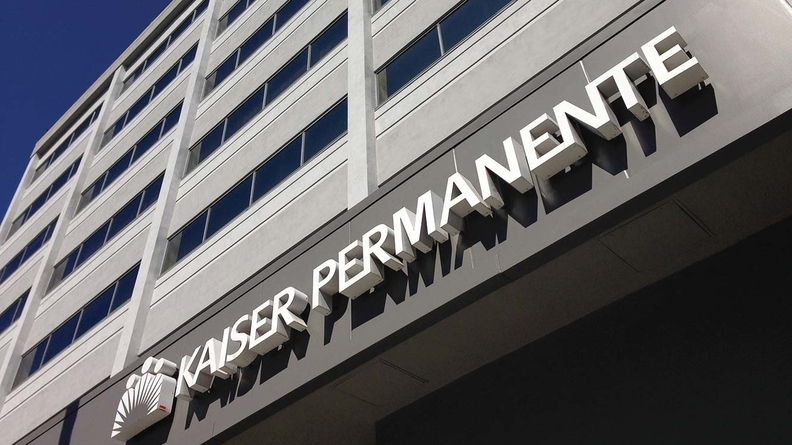 Kaiser's health plan membership was 12.2 million at the end of the second quarter on June 30. Kaiser, the nation's largest integrated healthcare provider, saw lower non-operating income during the quarter: $308 million compared with $356 million in the second quarter of 2017, a number the health system also restated. That resulted in net income of $653 million during the quarter, a 35% drop from $1 billion in the 2017 period. Kaiser reported spending $735 million on capital projects during the quarter, including opening new facilities and upgrading others, as well as adding technology. The health system opened five new medical offices during the quarter, all in California: Downtown Commons Medical Office in Sacramento, Skyport Medical Office in San Jose, Mercury Way Medical Office in Santa Rosa and mental health services offices in San Mateo and Hesperia. With the additions, Kaiser now has 689 medical office locations and 39 hospitals. Two Emory Healthcare hospitals in the Atlanta area will become primary hospitals for Kaiser physicians and members starting in October, the two health systems announced in June. In the fourth quarter, Kaiser plans to move its membership in Atlanta to the Emory system, and will pay for facility upgrades to ensure they can handle the new patients, Meier said. None of Kaiser's second-quarter capital spending went to the Emory hospitals.